GUELPH, Ontario – Staff and students from Kortright Hills Public School were at Guelph City Hall on Monday, celebrating the city’s exciting new designation. 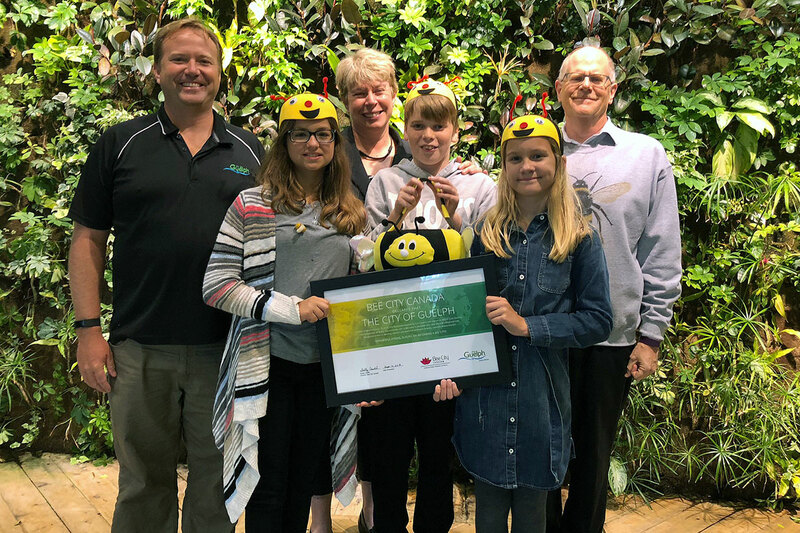 During a City Council meeting, Kortright Hills PS teacher Mrs. Cathy Dykstra, grade 7 students Julia, Emily and Jacob and Lorne Widmer from Bee City Canada presented the city with a certificate, announcing Guelph as an official Bee City. Pollination Guelph was involved in the application process for the city and asked Mrs. Dykstra and her students to provide their voices and experiences as part of the application. The topic is something Kortright Hills has a lot of experience with. In the spring of 2017, the school became one of the first official Bee Schools in Canada. In the application, students provided information on what they did to become a Bee School, such as designing a pollinator garden for the schoolyard and organizing a school-wide bee celebration, and steps they’ve taken at home and in their gardens. Because of their involvement in the process, Mrs. Dykstra and the students were invited by Bee City Canada to attend the presentation at City Hall on Monday. The students shared with Council examples of things they’ve done to help Kortright Hills PS earn the designation of a Bee City. Julia, Emily and Jacob told Council they are proud they can say they live in an official Bee City. 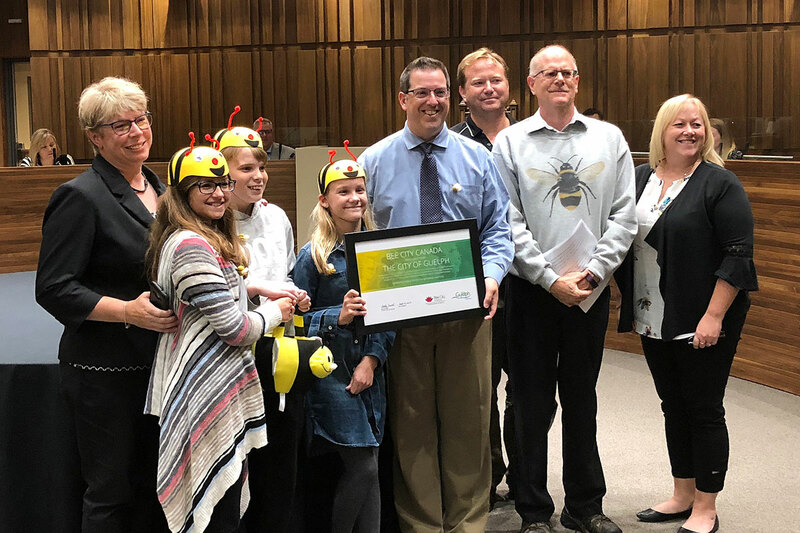 They thanked City Council for their commitment to creating pollinator-friendly spaces and at the end of their presentation were invited to the front by the Mayor to officially announce Guelph as a Bee City. Guelph is now one of 48 municipalities, organizations or schools in Canada with official “Bee” designation.